Cara Dawn Transport Ltd. is a leader in the transportation of equipment and over-dimensional loads across North America. We transport everything from 3 ton hot shot small shipments to 180,000 lb. lowbed loads and everything in between. We specialize in relocating heavy construction industrial equipment and we are based in Regina, Saskatchewan. Each employee is innovative, dedicated and service orientated, striving to build the strongest relationships with our customers. 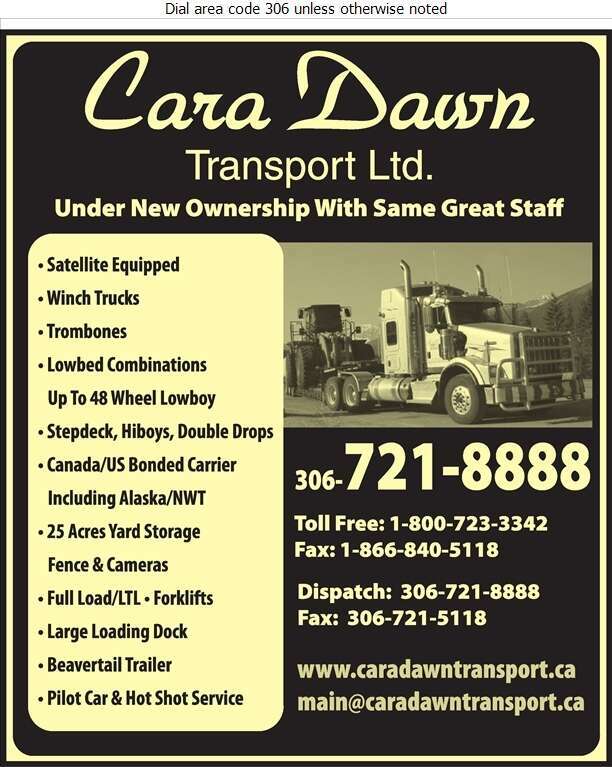 Cara Dawn Transport Ltd is available on-call 24/7 so give us a call today!